Google has announced that Maps for Android and iOS in India will now show traffic alerts to users once navigation mode is switched on. The updated Maps app will offer a spoken alert about upcoming traffic conditions upon entering a destination on the app, meant to help users identify the route they want to take to their destination. While on the road, users will get a heads up about any congestion in the route, and how long it can take. The Maps app will also suggest alternate routes, including giving explanations for why one is recommended. 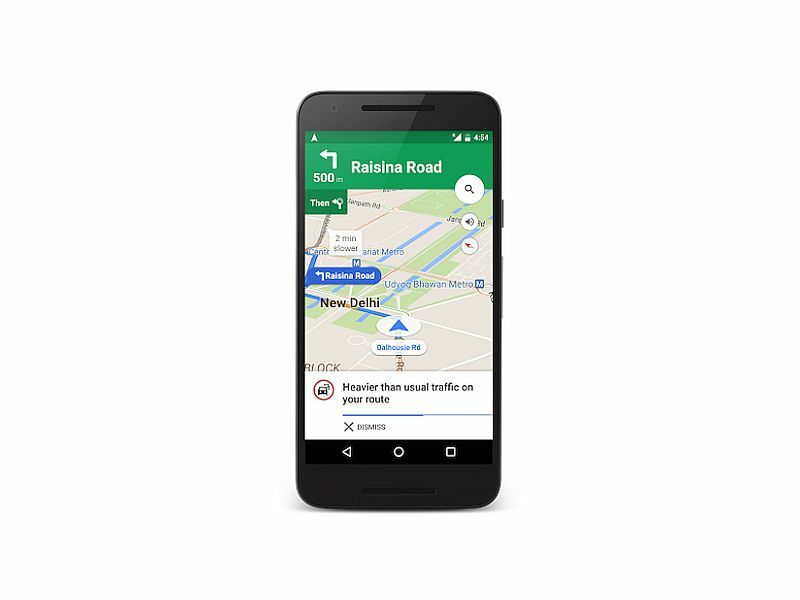 In a blog post, Sanket Gupta, Product Manager, Google Maps claimed that the latest Maps update will help users reach quickly to their destination avoiding jams. With the new update, Maps will also inform the users how long they will be stuck in a jam. “Google Maps can help you find the most ideal route to your destination with the least delays,” said Gupta. The traffic alerts feature was first rolled in the US back in May last year, and is now being expanded to more markets including India. Notably, Google Maps has rolled out a host of features targeted for users in India including real-time traffic information which was rolled out for 12 cities in India last year. Recently, Google Maps for Android received an update bumping up the version from 9.22 to 9.23. The update added new Navigation notification, which received visual overhaul.